Zenplace is Making Property Management Easy & Effortless for the 50 Million Rental Properties Across the U.S.
Harvard University’s Joint Center for Housing Studies are calling the national surge in demand for rentals “unprecedented” and industry analysts expect it to continue. However, property owners find that renting properties can be frustrating and worrisome. From finding reliable tenants, to leasing quickly and easily, to efficient maintenance, it can be a lot for a property owner to manage well. Which is why, with over 50M rental properties and 100M tenants across the U.S., property management services have been in great demand. However, the industry has lagged behind in terms of efficiency and technology. We are now seeing that changing – property management is a $55 billion industry that is undergoing reinvention, similar to what we are seeing across real estate sectors. Zenplace, is a technology-led full service property management company, backed by institutions and investors that supported multi-billion dollar companies like Google, Facebook, and PayPal. Zenplace is making it easy and effortless for property owners to rent and manage their properties. The company’s team comes from technology stalwarts like Google, Facebook, Nokia, Nest, NBC, Microsoft, and real estate giants such as Realtor.com and CBRE. Zenplace Manages Properties using Next-Generation Technologies Increasing Returns and Providing Peace of Mind to Owners. Zenplace takes care of all the aspects of property management and makes it easy and effortless – from finding great tenants, easy rent payments, to managing and maintaining the property. Using innovative technology like artificial intelligence (AI) and machine learning, combined with real estate expertise, Zenplace takes care of the entire rental and property management service and owners simply check on their property and rental income through their mobile enabled owner dashboard. Zenplace uses next-generation technologies to provide an innovative solution that gives property owners both peace of mind and higher returns. The company, headquarted in Silicon Valley, provides full-service property management services to property owners, institutional property portfolios and property managers. Zenplace was recently named “Top Most Innovative” Companies and the “Top 10” most watched companies. With Zenplace Property Management, owners and properties use adaptive algorithms used by companies like Google and Amazon for determining optimal rents, helping reduce vacancy times, and quicker turnaround times. Zenplace’s innovative technology also sources, screens and places great tenants. In addition, Zenplace continuously analyzes local property markets and rental trends to optimize your rent and enhance your property's value. Zenplace uses technologies such as AI and machine learning to provide a unique and powerful proactive approach to property management, for example, giving a heads-up to owners that based on usage and life cycle, the property’s water heater could start leaking in 3-6 months, and suggests potential options to mitigate the issue before it occurs. As another example, using machine learning, Zenplace gives a heads-up to the owner that a large number of tenants typically have an issue with the sink’s garbage disposals, and including a $5 wrench could avoid the otherwise unnecessary and frequent $100-$200 service call. Not only does this provide ease and simplicity, it also means lower costs for owners and better maintenance of the property. Zenplace also uses a differentiated approach towards property maintenance and vendor management. Traditional property managers have a fixed roster of vendors they use. Instead, Zenplace’s machine learning technologies scan local vendors across the nation based on price, timelines, reliability, reviews, availability, and numerous other variables to quickly assess and determine the best and most competitively priced vendor for the specific task. Zenplace also continuously factors in reviews from owners and tenants to rank vendors for future usage. Owners. as a result, see both lower costs and higher service levels. Zenplace's property concierge services also transform the tenant experience. Zenplace features an AI-powered service that works using chatbots, and through connected devices such as Google Home, Amazon Echo, and other smart devices. Tenants can pay their rent easily, manage property related services, and even report any issues with the property 24/7. In addition, there are a number of other useful Zenplace hub services that tenants love like easily managing their TV, internet, security and other property related services. Enhancing the tenant experience is beneficial to owners since a delighted tenant is more likely to take better care of the property and renew their lease. Zenplace's interface, as seen above, is intuitive and is easy to understand and use. It features a contemporary and modern approach, which is more like you’d expect from a company like Apple or Google, rather than from the property management industry, which shows how Zenplace is reshaping the property management company of the future. In another first for the property management industry, Zenplace provides a 100% happiness guarantee to property owners. Property and real estate owners, with $10 trillion of assets, constitute the largest asset class. 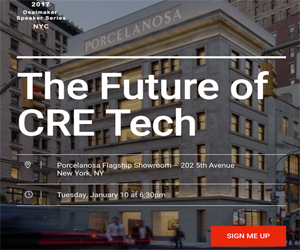 This new wave of innovation in property management will drive greater real estate returns, increase efficiencies and provide a better overall experience for property owners. It certainly is exciting times ahead for property owners and the property management industry.